Sick! 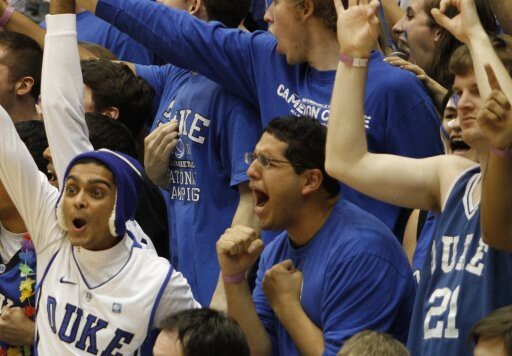 This upcoming Duke team might be the most talent ever assembled in Durham. The ’98-’99 team might have something to say about that. Undefeated in ACC play, ACC Tournament Champs, and a record of 37-1 going into the 1999 National Championship game. The tarholes should be afraid, be very afraid. I can see a 40+ beat down this season!!! TDogg–don’t expect another 82-50 game against UNC this year. They’ll be much improved with Barnes and Bullock, and I think getting Ed Davis and his awful attitude out of Chapel Hill will actually help. I think games more like our first matchup against UNC are more likely. More high scoring, but close throughout.